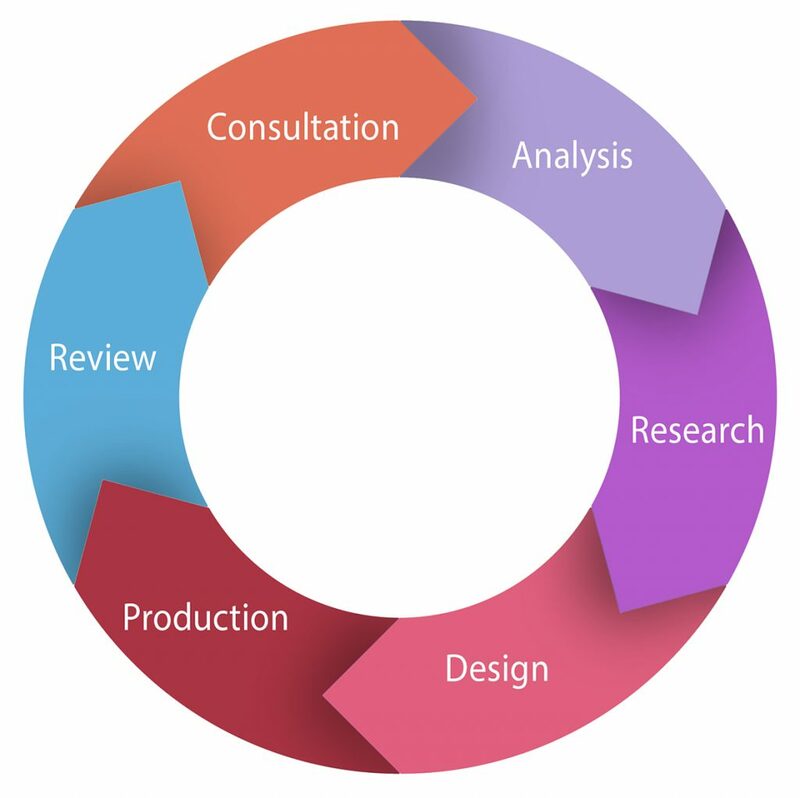 This design diagram shows the underlying philosophy in our approach to begin a project. The source for this is the Charles Eames Design Process Diagram which was adapted for our purposes. 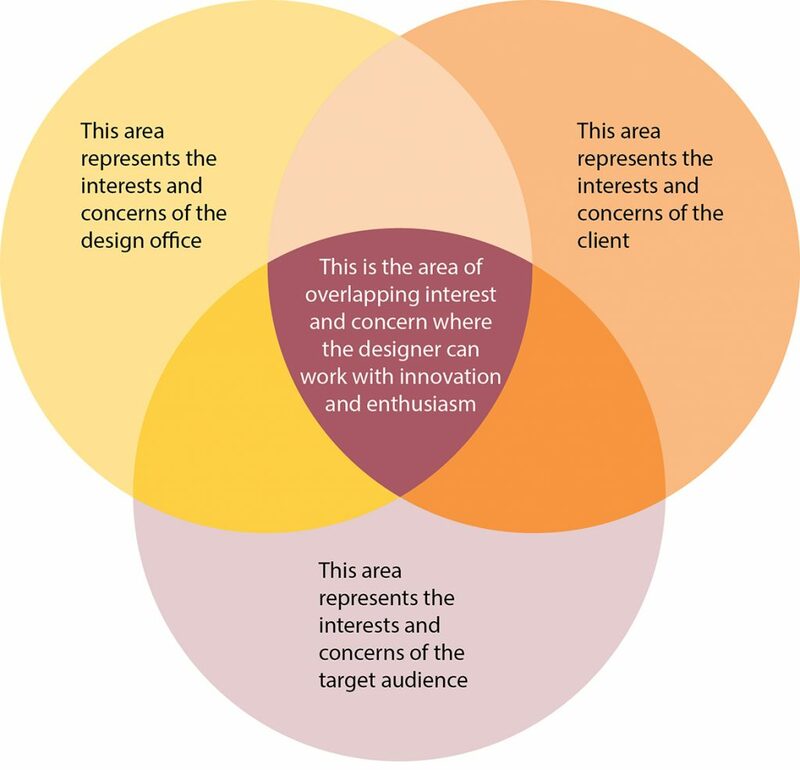 As Eames notes, the areas represented are not static – they grow and develop as each one influences the other. Once a project starts, we immediately engage the client via consultation. We analyze the dialogue and begin the internal process of identifying and listing key words, images, and concepts that are core to the issues involved. We research historical solutions, and we research the subject in general. From that knowledge and observational base evolves visual research in the form of sketching. We begin to identify potential solution paths. Form is brought to our thoughts and concepts through design. The project is then taken to production. We review the steps and look for areas that could be strengthened. We revisit the process once more. The client’s input and engagement in the process is seen as an essential, positive part of this equation.